NOTE: JDK 6 or above (JDK 7) is required for installing and running the Java SE, Java EE and All NetBeans Bundles. 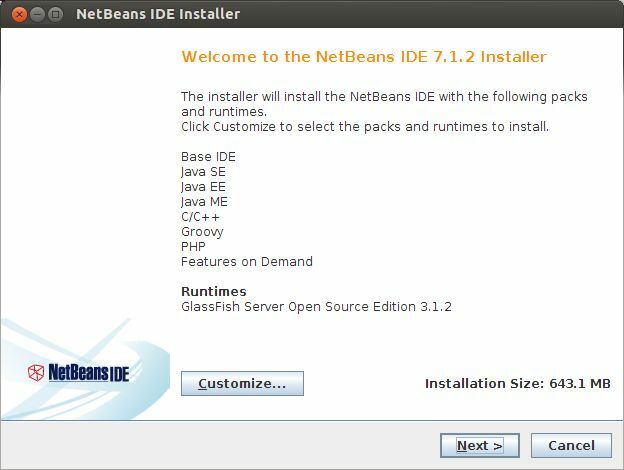 1.Go to Netbeans download page and download the netbeans Linux (x86/x64) .sh installer file (like netbeans-7.1.2-ml-linux.sh). 2.Copy your Netbeans installer file to your Desktop. 3.Open Terminal.To open terminal click the Dash home from unity launcher.And type terminal in the search field.And click Terminal. 4.Type the below code in terminal and hit enter. Type your ubuntu password if needed and press enter. 7.And then install Netbeans from GUI installer window. 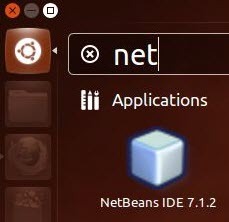 After the successful installation,click the Dash home from unity launcher.And type netbeans in the search field.And click Netbeans IDE to open. when i copied it to destop to make it easier. Yo guys are very brilliant. gave me the following error: invalid file (bad magic number): Exec format error. download the netbeans Linux .sh installer file again and try. Thank you sooo sooo much..this is very very clear..my netbeans is working perfectly in ubuntu 12.04(Precise Pengluin)…thank u that i don’t know how to express my joy..